Introducing Red Carpet Manicure, the brand behind the worlds’ first at-home gel manicure kit. Discover more about our kits here. Each of our LED gel products uses professional technology to help you create that salon perfect manicure in the comfort of your own home. Our Starter kit contains all you need to get started on your home manicure journey. 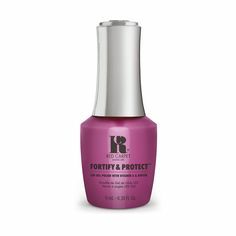 One Red Carpet Manicure bottle of LED Gel polish gives up to 25 full manicures and with a wide range of on-trend and classic colours, Red Carpet Manicure gives you the freedom to change your manicure as often as your outfits, or with the seasonal trends without the need of an appointment. We also offer all the essentials you’ll need to get started and for an effective removal. There are over 150 colours in the Red Carpet Manicure LED Gel collection, which grows every season! Moving from strength to strength we introduced a range of Lacquers to compliment our gel shades, which are perfect if you want to match your manicure to your pedicure and prefer to use a lacquer on your toes. Our lacquer collection has over 50 shades in the range. Launching in 2017, our treatment collection has a range of six targeted treatments to help you treat, nourish and strengthen your nails. Each treatment has been developed to be used on either natural nails or gel polish. You can find a helpful Blog Post on our treatments here. Always ahead of the trend and lead by professional nail innovations, Red Carpet Manicure launched Color Dip, The Nail Colour Dipping Powder system gives up to 21 days wear. Create intense, vibrant colours with perfect even application, no matter your skill level. Get perfect runway nails every time! 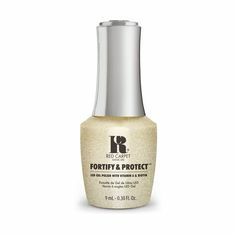 The Non-Irritation Formula is Gentle on your nails and doesn’t require an LED or UV Light! Discover our Color Dip Tips here. With a range of Tutorials available on our website, you’re sure to find your inner Manicurist.